The rupture strength of a set cement in compression is called compressive strength. 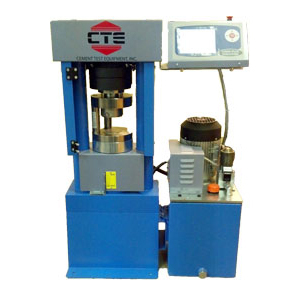 The compression tester provides laboratories with the ability to put cement samples under specific load rates and stresses to determine their compressive strengths. In a wellbore, the cement column supports the casing and the formation. Over the life of the well, the cement will be exposed to stress and strain induced by temperature and pressure fluctuations.